When it comes to married people, there’s always been a saying that those who have happy wives actually lead happier lives. Even more so, married people tend to follow this advice to keep their domestic life happy. But for those of you who are still in doubt – it has been proven by scientific studies now! 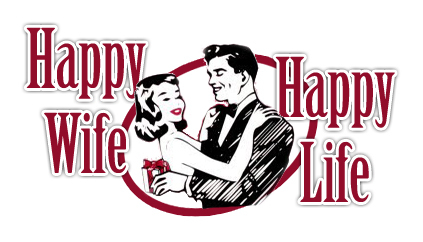 Yes, the phrase “Happy wife, Happy life” may actually make sense scientifically. Trust and love are the two pillars of marriage – if even one shakes, then the entire foundation of marriage crumbles. Scientists have looked further into the reasons responsible for a happy married life. They have published their reports in a journal called “Journal of Marriage and Family”; and in that report, they suggest that men who are dissatisfied with their marriage, are satisfied with their overall life, just because their wives are happy in the marriage. But scientists were still doubtful, so they decided to strengthen the evidence. The University of Michigan went out to conduct a one-on-one survey in over 18,000 houses! Couples were interviewed and they were asked to rate their marriage on a scale of 1 to 4. For this study, one of the spouses had to be of at least 50 years old and another had to be of be about 60 years old or more. Now, those husbands who rated their marriage a ‘1’ and whose wives rated their marriage a ‘4’ seemed to be happier overall with their lives. But those houses in which both the wife and the husband rated their marriage as a ‘1’, led unhappier lives. But a reversal of the statement made above wasn’t true! If the women felt unsatisfied with the marriage, the men also were unsatisfied. So, the study concluded with the result that a happier wife does really leads to a happier life. This makes sense actually. If a woman is happy in a relationship, she might provide care, support and overall benefits which might make a man’s life easier. She will take care of his primal needs, provide emotional comfort and also share the household responsibilities. The husband then really has nothing to complain. Next articleDuring Pregnancy, If The Mother Suffers Organ Damage, The Baby in The Womb Sends Stem Cells to Repair the Damaged Organ. A new study suggest that love at first sight has a biological basis.